The aim of this guide is to outline the welfare implications to be considered when culling deer. The definition of welfare in relation to deer is “concern for their physical and psychological well-being ”. The shooting of deer is not a welfare issue in itself if Best Practice is followed, however, welfare implications can arise as a result of orphaning dependent juveniles or from excessive culling pressure. The higher the risk that culling will be detrimental to welfare, the greater the need to involve a third party in the decision making process. 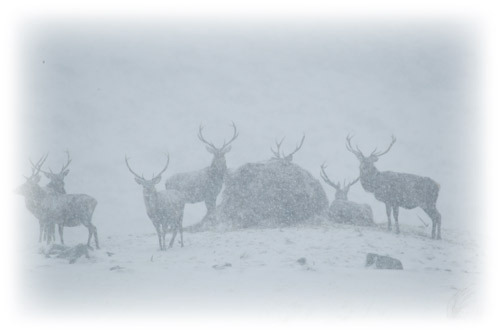 Where applicable, SNH provides an independent judgement of the balance between the need to cull deer for different reasons and welfare implications through the Authorisation process . The most significant impacts associated with culling activity relate to physical wellbeing, and the tables below summarise how these vary with breeding activity, body condition, and dependency. You may be able to implement measures that will reduce the negative impact. Some examples are highlighted in the table below. High: no satisfactory measure to alleviate. Medium: can be alleviated by preventative measures. Low: low or no negative impact. As juveniles have no dependents, any welfare impacts associated with culling them will relate to the psychological and physiological impact on the mother. There may be an impact on the physical welfare of non-target males where there is excessive disturbance resulting from culling others. (see table below). In response to the sight, sound or smell of humans, deer may temporarily cease other activities such as feeding, become vigilant for a period, or may move away. The level of impact on physical or mental wellbeing will vary in accordance with the type, level of disturbance and frequency of exposure. Mental wellbeing is not fully understood. However, as deer have evolved as prey species it is generally accepted that they have evolved to cope with the stresses associated with predation. The judgement on the welfare implications lies with the stalker and is based on the intensity and frequency of disturbance, the length and duration of movement and the condition and behaviour of the deer as well as risks associated with the environment in which the culling is being carried out. The intensity and frequency of disturbance should take into account the cumulative effects of culling throughout the year as well as seasonal changes in body condition of the deer. Additional disturbance through public recreation and access should also be taken into account. The length and duration of movement should take into account what would be considered as the deer’s natural range, normal movement within that area and the duration of disturbance. The physical condition and behaviour of the deer will indicate to the stalker the likely impact of culling operations. Characteristics associated with welfare concerns would be extreme signs of exhaustion , intense heavy breathing, tongue hanging out, particularly laboured movement, or collapse. Separation of dependent young from their mother can be a welfare concern. Herds, groups or mother and calf / kid pairs should be monitored by the stalker to ensure that dependent young are not separated. Where deer are found in herds, stalkers should keep a close eye on the rear of herds for accumulation of juvenile deer. 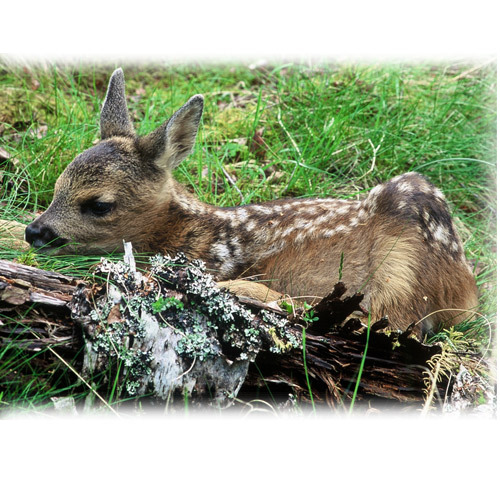 Mitigation would be to cull juvenile deer where it is suspected they have split from a herd, group or mother and calf pair. Risks to deer welfare from culling should be mitigated by minimising intense activity in areas where deer may get injured e.g in steep or rocky terrain, in proximity to fence-lines or other barriers where contact could cause injury and on public roads where deer vehicle collisions may occur.